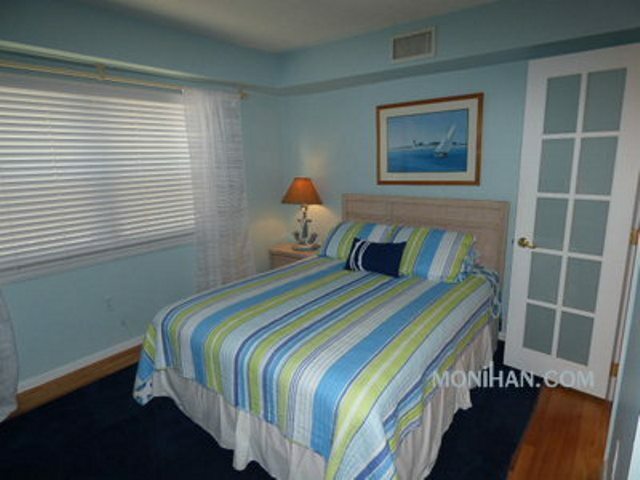 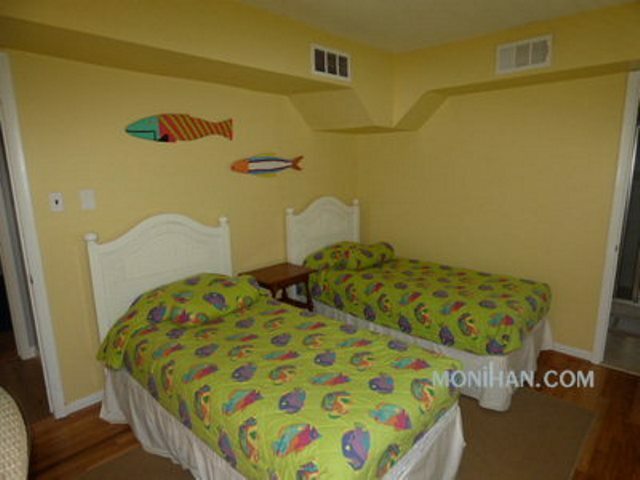 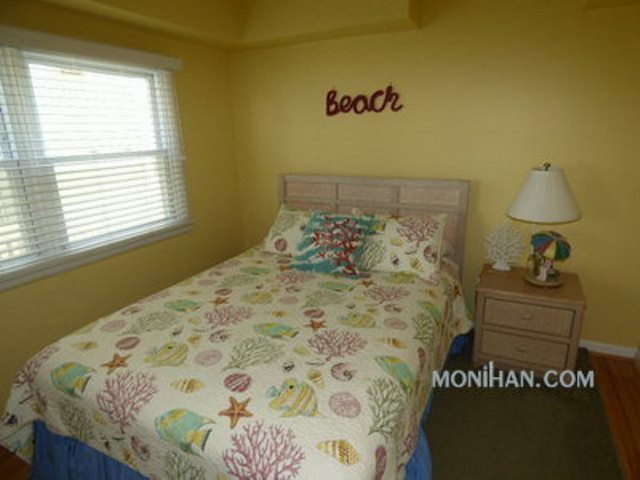 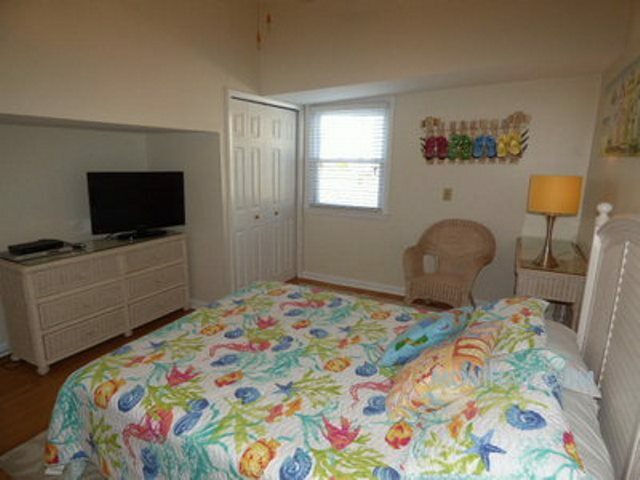 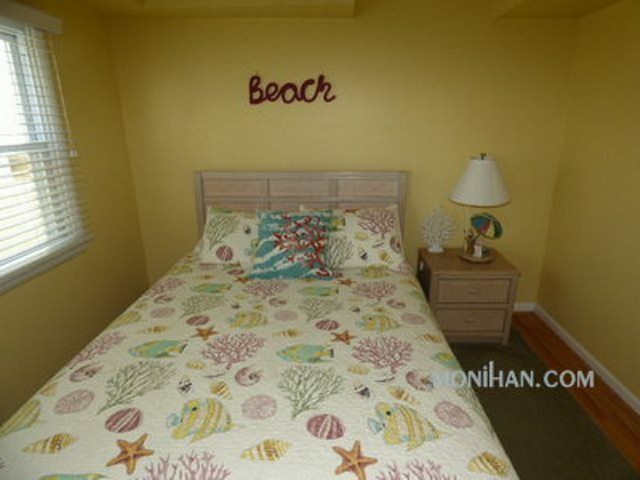 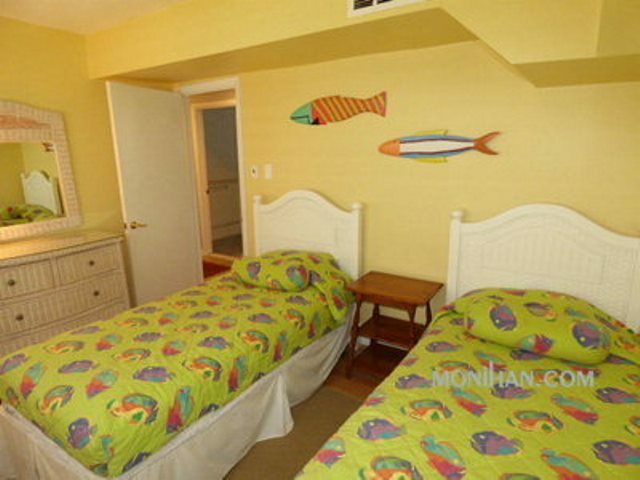 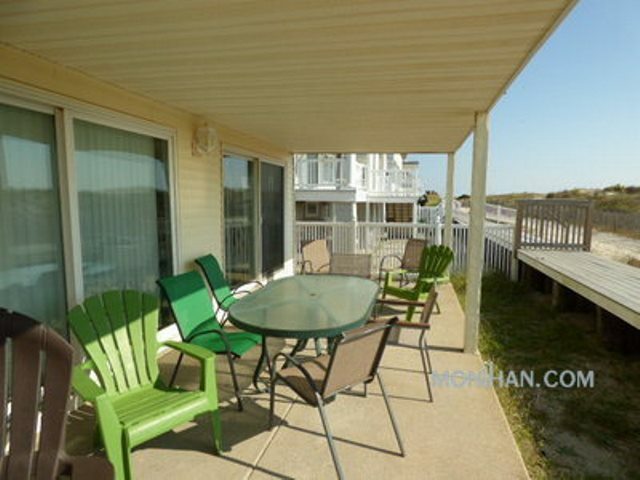 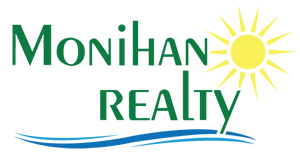 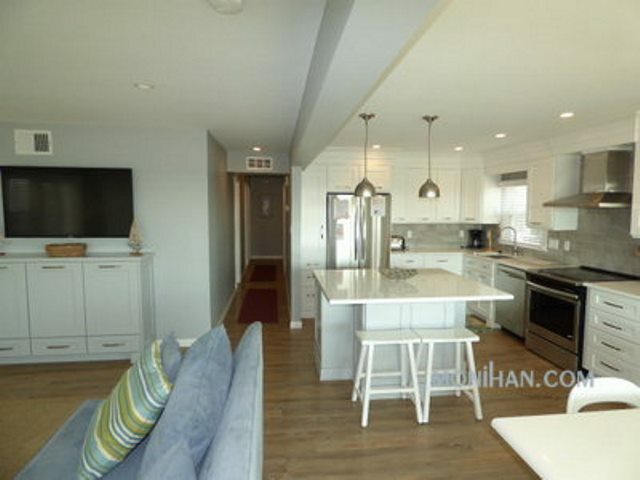 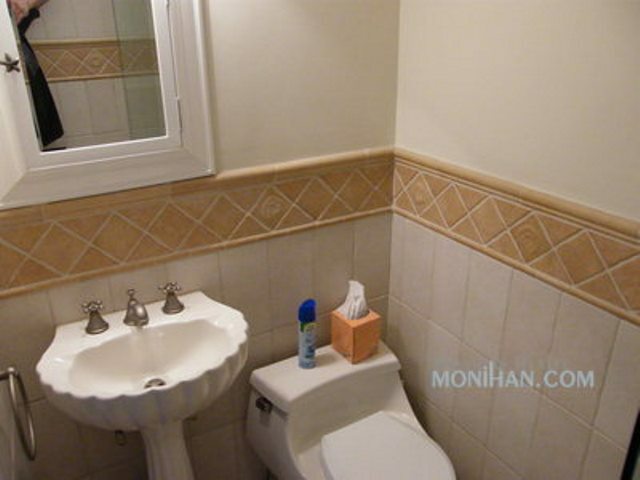 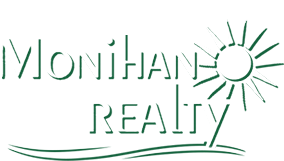 Enjoy your stay here in Ocean City in a lovely first floor oceanfront condo with 5 bedrooms, 3 baths that sleeps 10 comfortably. 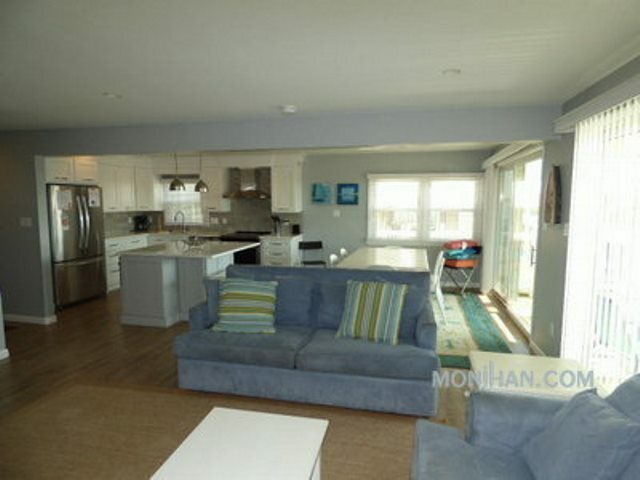 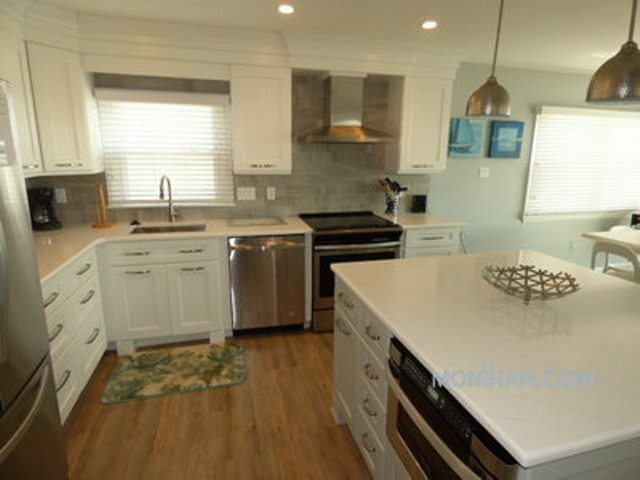 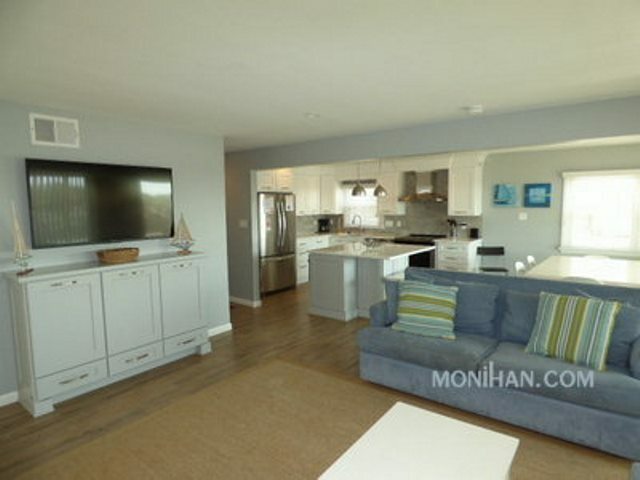 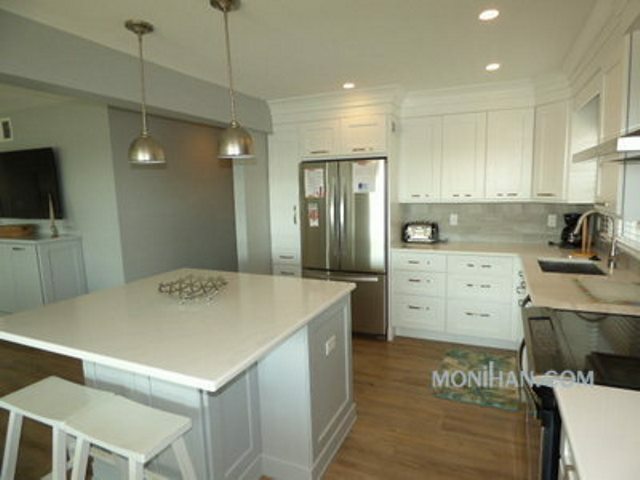 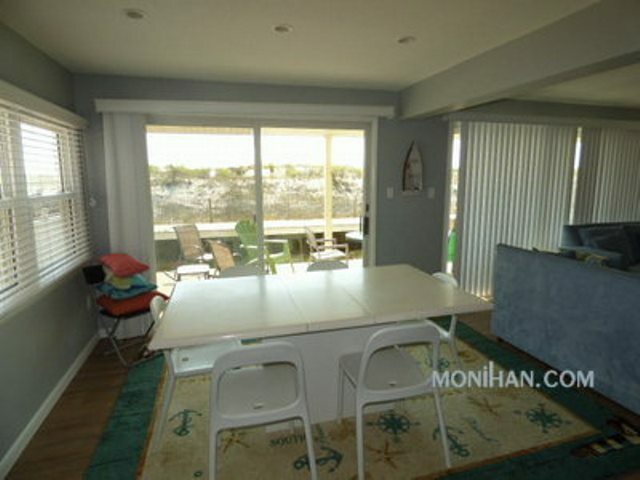 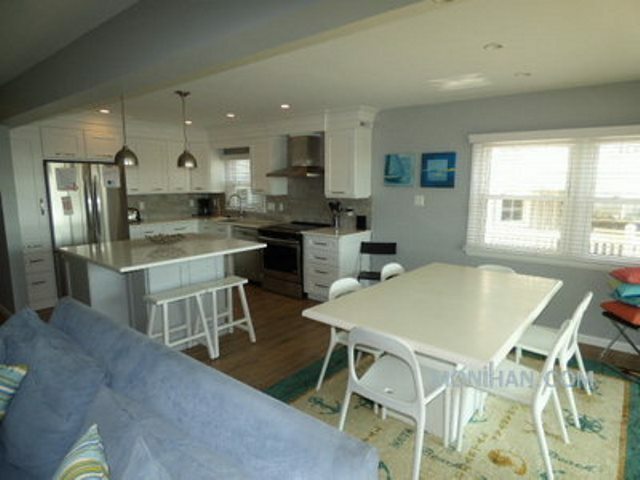 A spacious kitchen is complete with all amenities to prepare a family dinner by the beach. 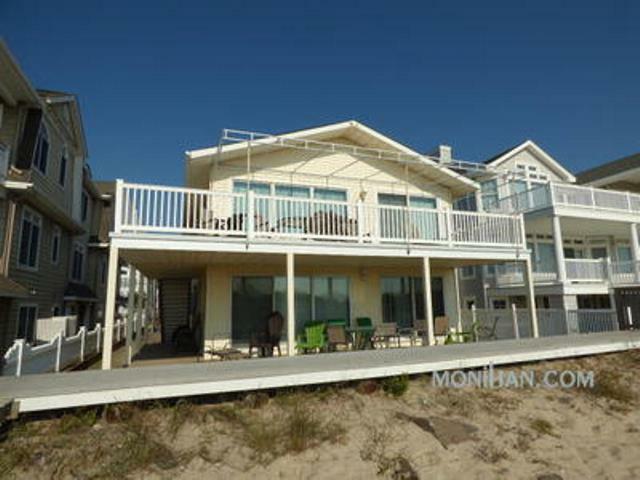 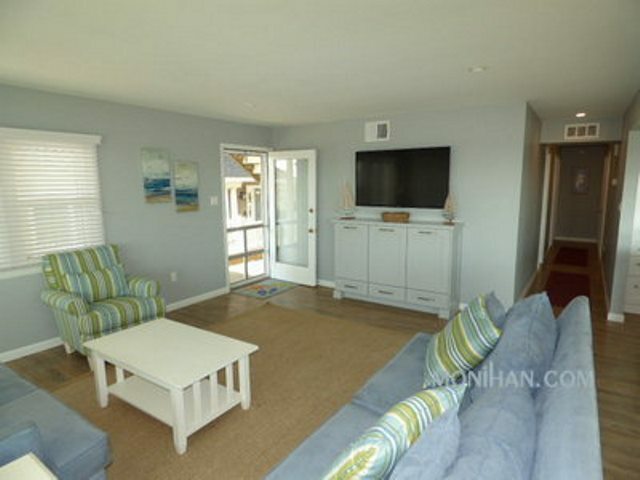 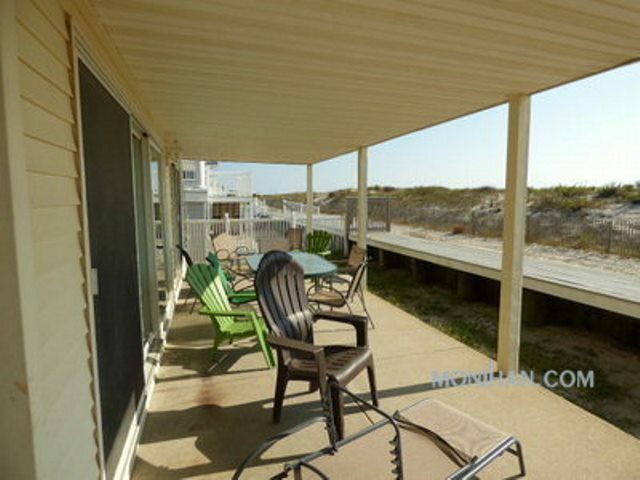 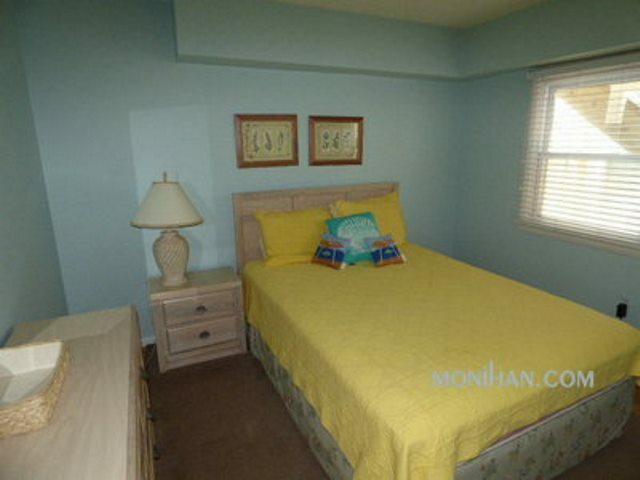 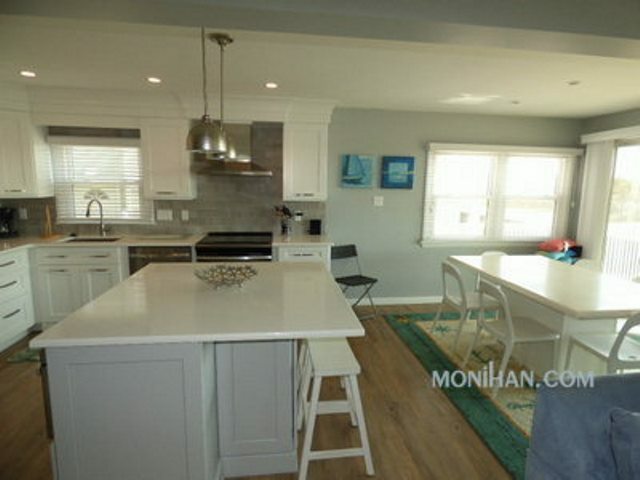 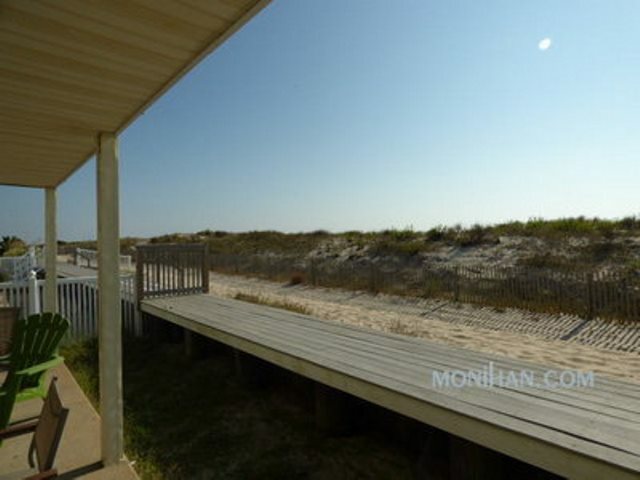 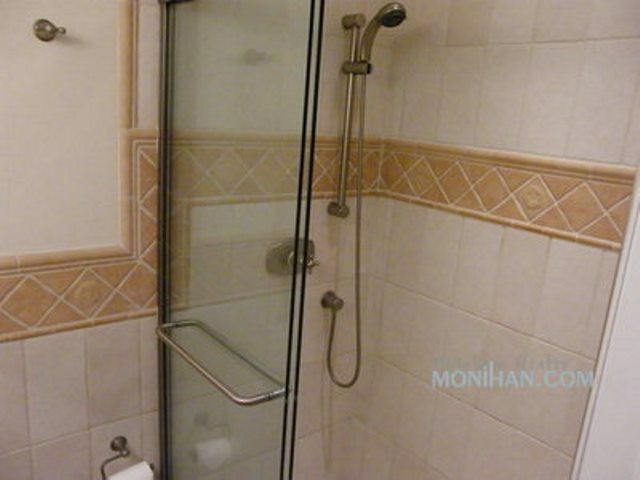 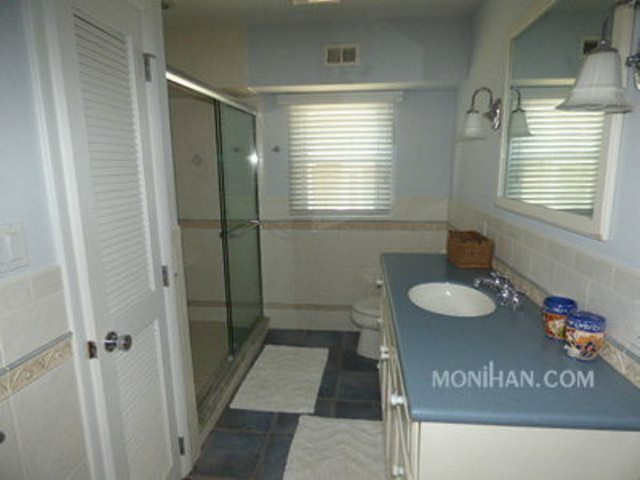 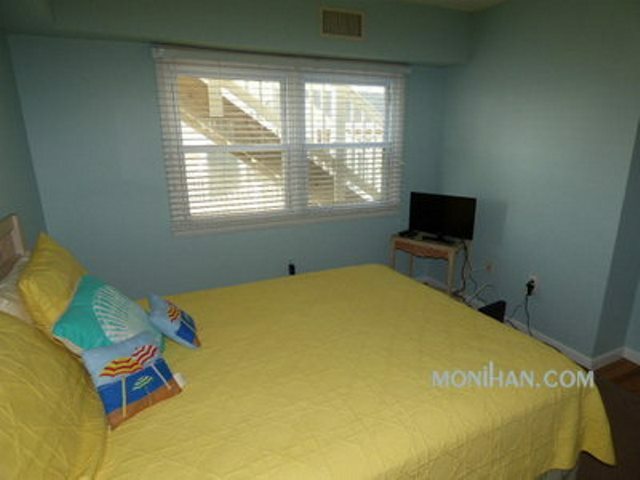 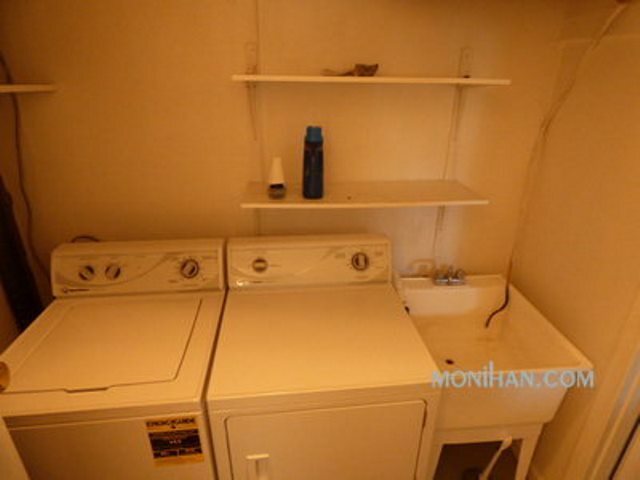 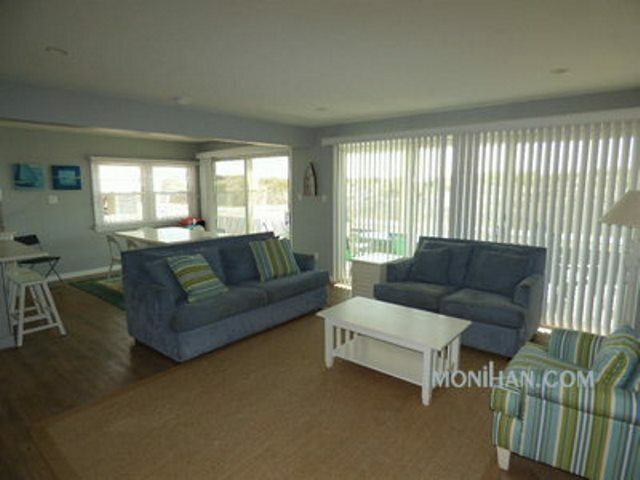 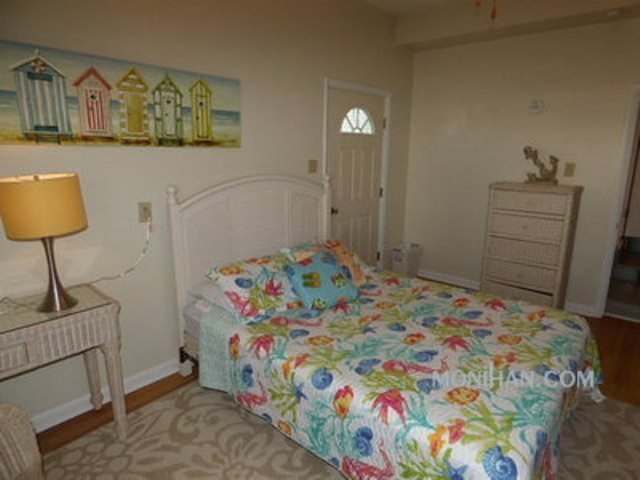 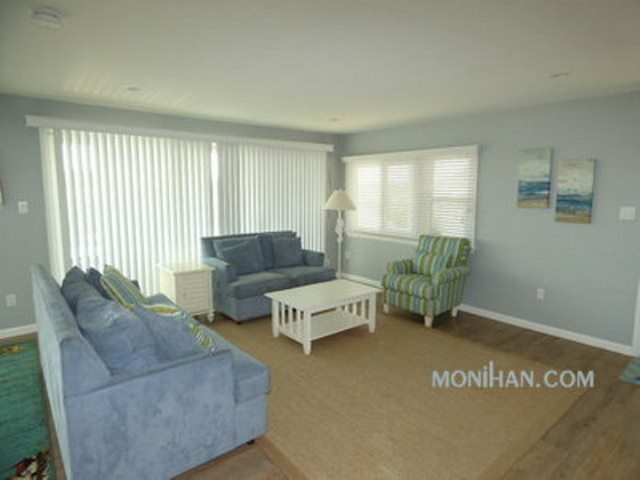 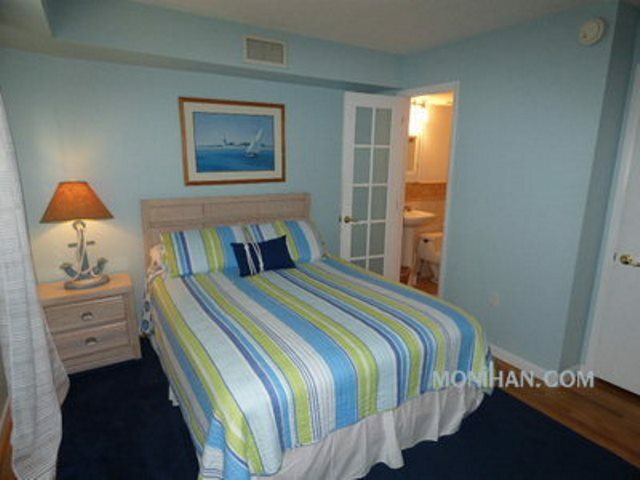 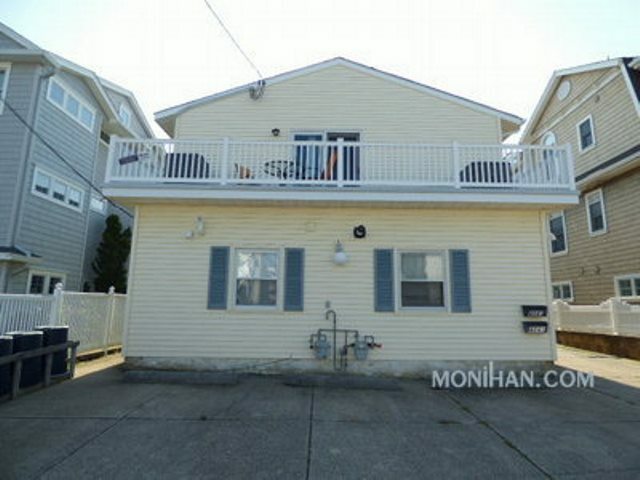 There is easy access to beach through the sand dune and it has four steps in to the unit; which features a nice wraparound porch to enjoy the ocean breezes. 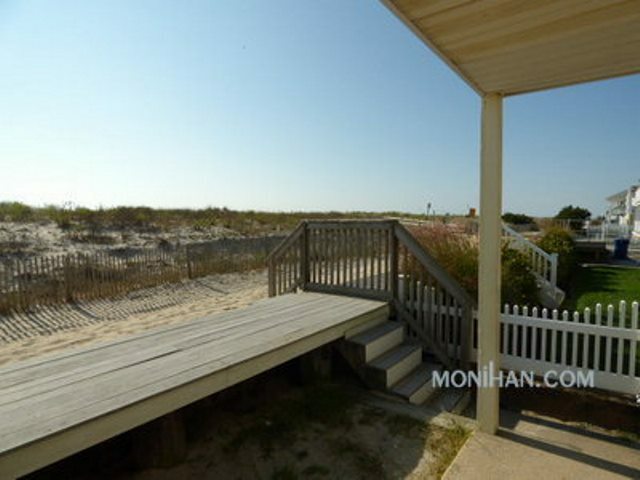 Uncle Bills Pancake House, Ocean City Dog Park, Corson’s Inlet State Park, 46th Street Fire/Rescue station, Post Office, 40 St. Catholic Church.